Tabitha Vohn writes Poetry and Fiction (genre crossover with literary or literary). I across her work a few years back via GoodReads. 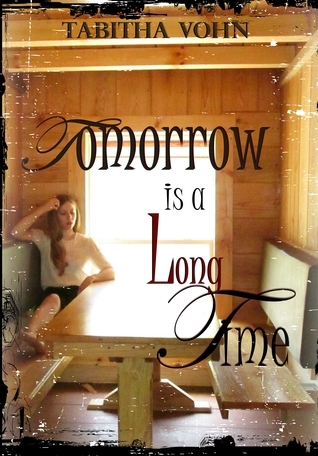 I have also read and reviewed two of her books: Tomorrow is a Long Time and Requiem for The Fallen. Here you can read a mini interview we did together and check out her newest book and the winner of the Indie B.R.A.G. Prize! 1 - Tell us more about Only for a Moment. When did you get the idea to put together a Poetry book and how was the process? Last year I was "stuck" with two sophomore classes to teach, after four years of having only senior classes. I was a bit put out at first, but then I decided to have some fun with it; doing lessons that I normally wouldn't have the chance to do with senior classes. One of the those ideas was Poetry Friday. We'd watch slams and then my kids would write poems on a proposed topic and those who spit their verse would receive extra credit. It turned into this remarkable family of poets every Friday. A lot of laughter, tears, and finger snaps. During that time I started writing poetry again, along with my kids, and it rekindled the love of poetry in me. Poetry was my first love in terms of writing. This past summer I worked on my next novel but wanted something to publish in the meantime. I decided to put together a collection of my best poems and--with the help of a dear friend and remarkable artist who did the cover and interior illustrations--Only For a Moment was born. I filtered through the past nineteen years of poetry that I've written and picked the best ones. I tweaked many of the older ones along the way. They all sort of naturally coalesced into certain themes or thematic topics so organizing them in the collection was an organic process. 2 - What do you like writing most, Fiction or Poetry and why? To be honest, it depends on the mood I'm in. I like the more instant gratification of poetry and the cathartic release of it, as it's more personal and confessional for me. But fiction is an escape into other people's lives and loves and adventures and heartbreaks. Sometimes I need that escape, and I often grow to love my characters like friends. 3 - Are you working on a new book or have plans for one? What will it be about? I'm currently "sitting" on a novel called "A Different Path", which you can check out on my website (www.tabithavohn.com). It's my best work thus far, and I'm waiting until it's properly edited before it's published. Editing isn't cheap so....thus the wait. I'm also working on a novel called "Walking Man's Road", which is sort of a dual exploration into antiheroes and obsession. 4 - What is your biggest wish or dream as a writer? Synopsis: Poetry is an act of survival. A cry to everyone and no one. Intensely personal, shamelessly honest, and oftentimes an admission of inner ugliness, Only for a Moment chronicles nineteen years of the author’s life. It explores ideas of transience, transition, and redemption through the battlegrounds of metamorphosis from young girl to woman. Each poem presents a snapshot; a puzzle piece of what ultimately becomes a collective consciousness. A road map to trace back through the labyrinth of people and experiences that define us. Synopsis: Cal Morrison is a Midwestern farmboy who was thrust into fame during the Old Hollywood era. Now, at eighty-five, he sees his life as wreckage. At the mere age of twenty-four, Eileen has seemingly little in common with Cal, except that she fell in love with him on screen. Tabitha Vohn is a pen name. Her creator is a certified bookworm, thanks to the countless fairy tales, Bible stories, and nursery rhymes she was read as a child, and the Gothic, Romantic, and Contemporary novels she enjoys today. She has earned a B.A. in English and a M.A. in Teaching, and currently teaches high school English. Tabitha has published three novels, Requiem for the Fallen and Finding What Is, and Tomorrow Is a Long Time, (which received the AI Badge of Approval). She is currently writing her fifth novel and is in the process of publishing her fourth. Illustrating Words: A little corner of the web where I can connect with readers and promote indie authors as well as my works as indie publisher. Me: I am Isis Sousa, a digital painter/artist/writer, and now also arts educator. I live in Snillfjord, Norway, with my lovely husband. Love Heavy Metal, Fantasy Art and Gothic stuff. Sign up for my author newsletter @ TragicBooks.com and learn about upcoming releases, promos and more! Love Dark Music & Fashion?